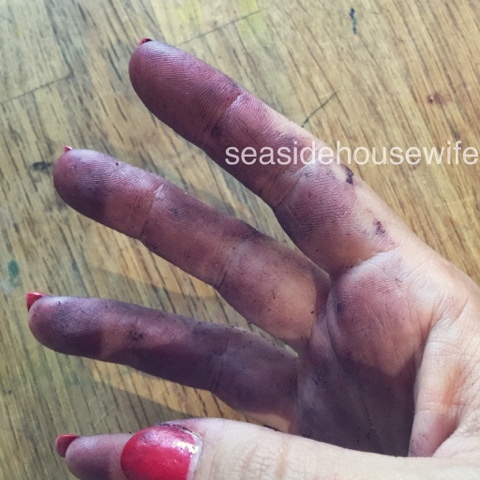 Housewife and mother of three young children, living by the sea. 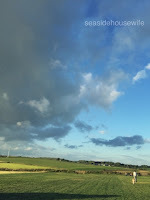 Blogging about busy mini people, caravans and delicious recipes! 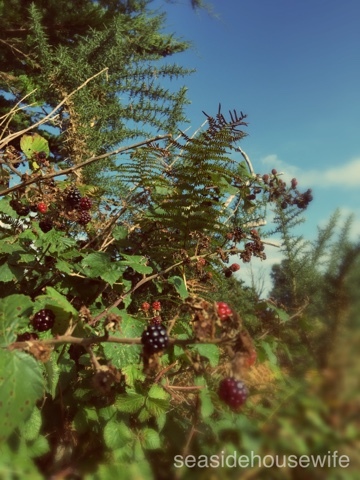 I was chatting to a guy about how many tv programs were telling people to go picking wild berries, without any warnings! He told me the following, this was not all that long ago too - hed this warning!! 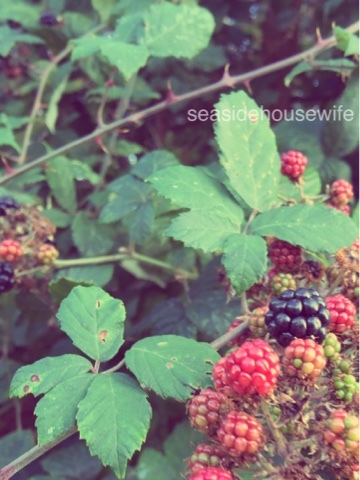 'A lady wanted to make her family a lovely blackberry pie for pudding. 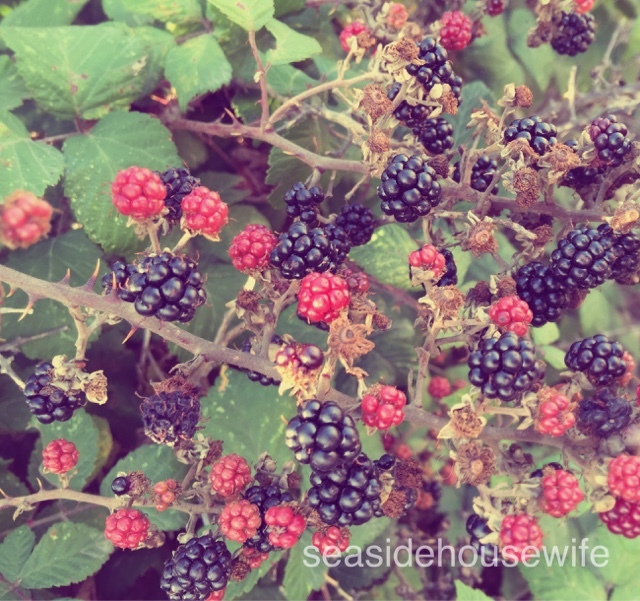 While out picking blackberries, she saw some other berries which looked nice so picked them too. 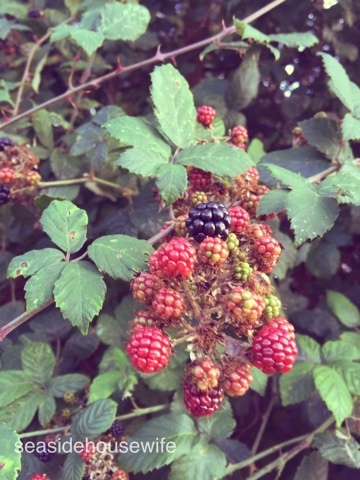 Do not go picking any berries you are not 100% sure are safe to eat!! It's something I did as a child with my mum, it reminds me of my childhood and I love heading out with the kids on the hunt for them! Our three young children love it and we have taught them well on what to look out for. Ok first off, don't eat the red ones....I know, this is going to the sort of guide where am going to assume you have never been blackberry picking before. Right my next very important point, wild berries are not ours. So don't strip a bush of every berry, remember all the wild life that will need to eat them too. So I always pick a few from each bush, not striping a whole bush. Quite often, as with anything wild or herbs for that matter, the more you pick the more you get. Start picking early, as soon as you see them turning black, you could encourage more to grow. Make sure you are on common public ground. If your picking next to a road, make sure you don't eat straight from the bush and wash the fruit. Don't be like me and go blackberry picking in bare feet. Then have a fight with a blackberry bush catching your hair! Be careful of thorns, bugs, spiders, bees and wasps! All sorts of things could be hiding in the branches, so go careful. I try not to brake spiders webs too, they take so long to make and knocking on a spiders web sends them running too! It's a great way to entertain mini people and also save some pennies too! From pies to jams or just a free snack! 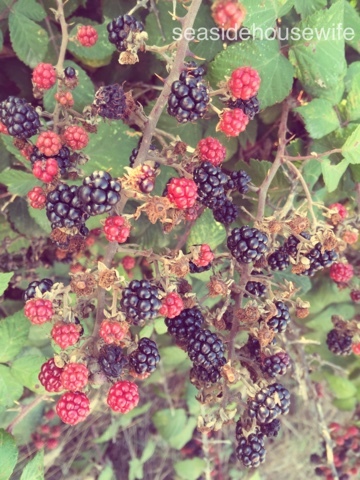 Keep an eye out for blogs on jams, click here for wild blackberry jam! How to work out the square meter of your caravan!